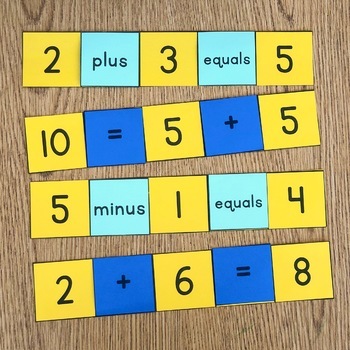 I created this activity to help my students develop a deeper understanding of the meaning of the plus sign, minus sign, and equal sign. I also think it's a great activity to build number sense and critical thinking! 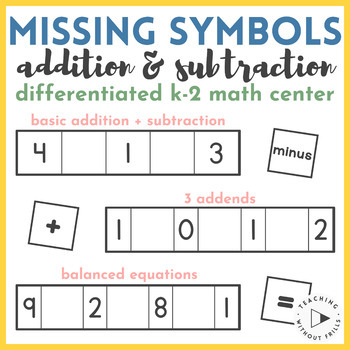 Great for kindergarten, 1st, and 2nd grade addition and subtraction! 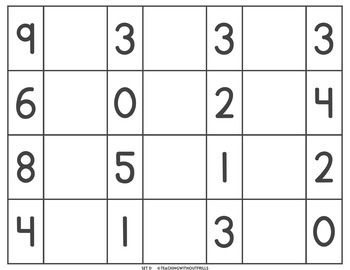 •This activity can be used independently, with partners, in small-groups, or as a math center. 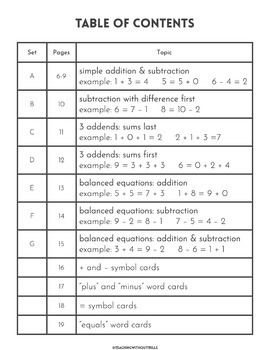 •You may use the different equation types to differentiate for your students, or you may introduce the easier ones first and build up to the harder ones! •You might provide students with only the word cards, only the symbol cards, or both! •Manipulatives or whiteboards may be used to help support students in solving each problem.